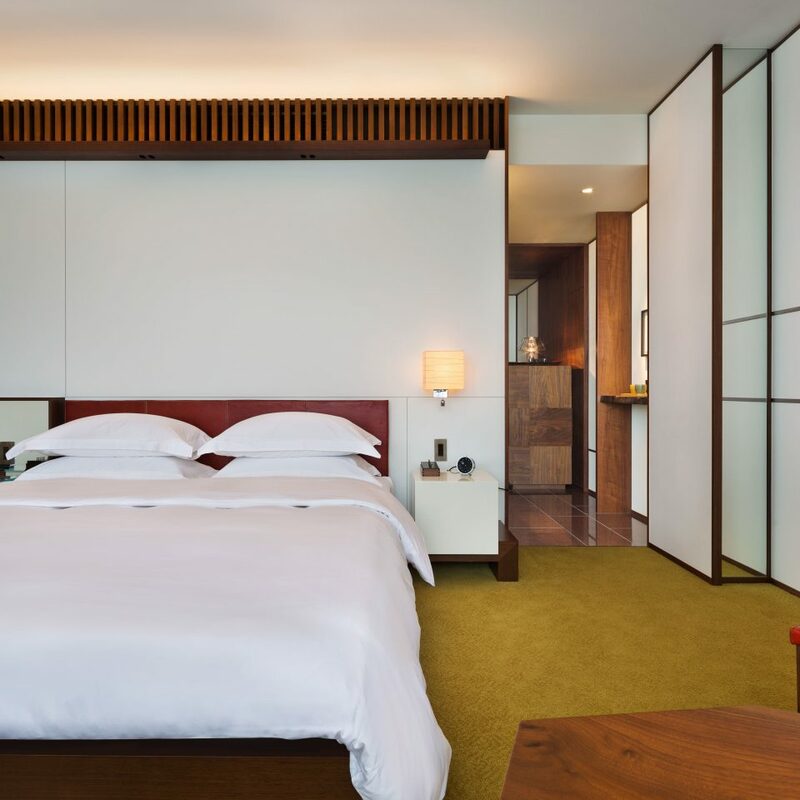 On the top floors of the 52-story Toranomon Hills Tower, in an area set to become Tokyo’s Champs-Elysées, this lifestyle hotel is pure pared-down perfection. 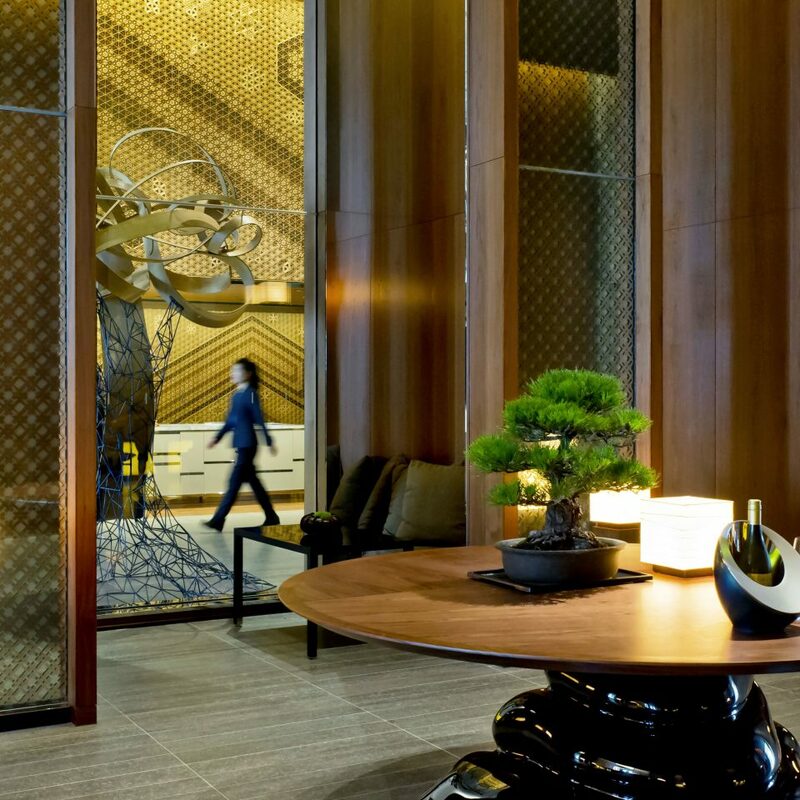 Designed by New York–based Toni Chi and Japanese designer Shinichiro Ogata, the property artfully blends natural materials (washi paper, polished walnut) and intricate works of art. 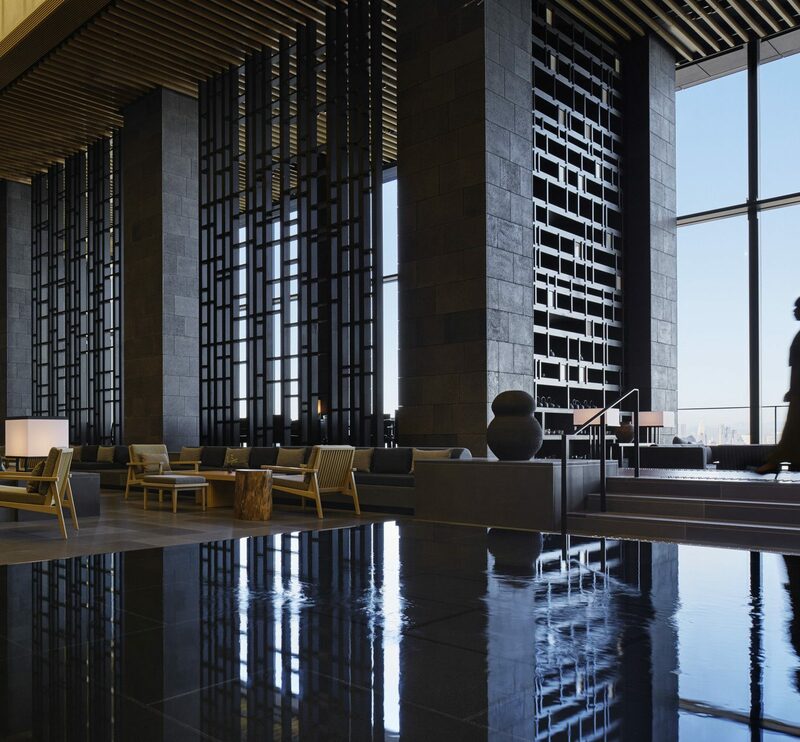 The lobby is more convivial meeting hub than regular reception area, and the Andaz Hosts (who combine the roles of doorman, concierge and reception staff) provide a warm welcome. 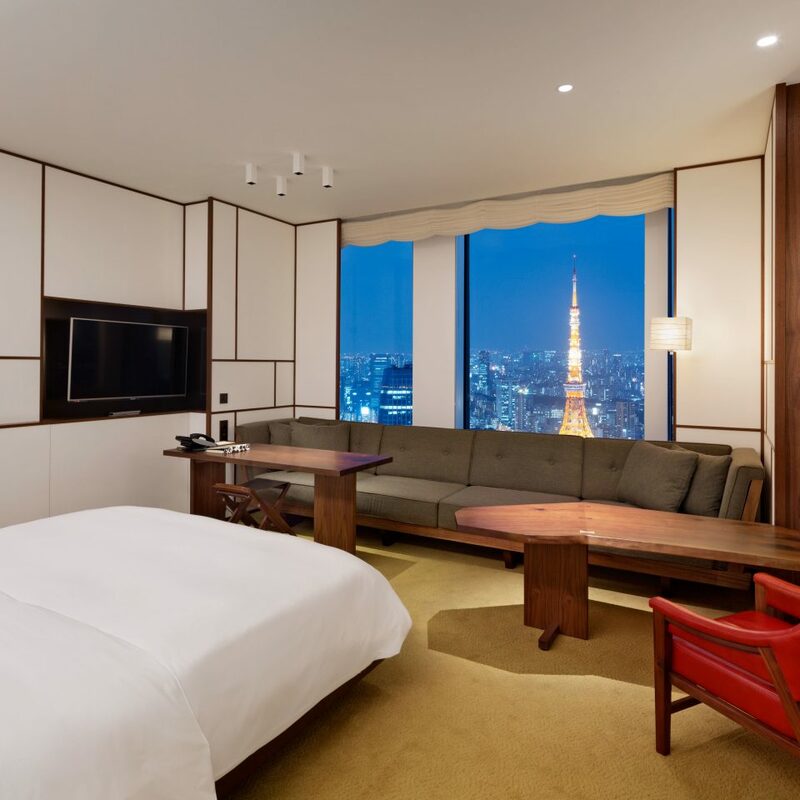 The 164 guestrooms are located on floors 47 to 50, and all feature floor-to-ceiling windows overlooking the Tokyo skyline. (The beds are perfectly positioned to make the most of the views.) Chunky walnut paneling and furniture and grass-green carpets bring the outside in, but there are also luxe urban touches, including Nespresso machines, free soft drinks from the minibar and futuristic toilets. Panels inspired by Japanese fusuma allow guests to customize the room layout, and the bathrooms feature authentic Japanese soaking tubs. 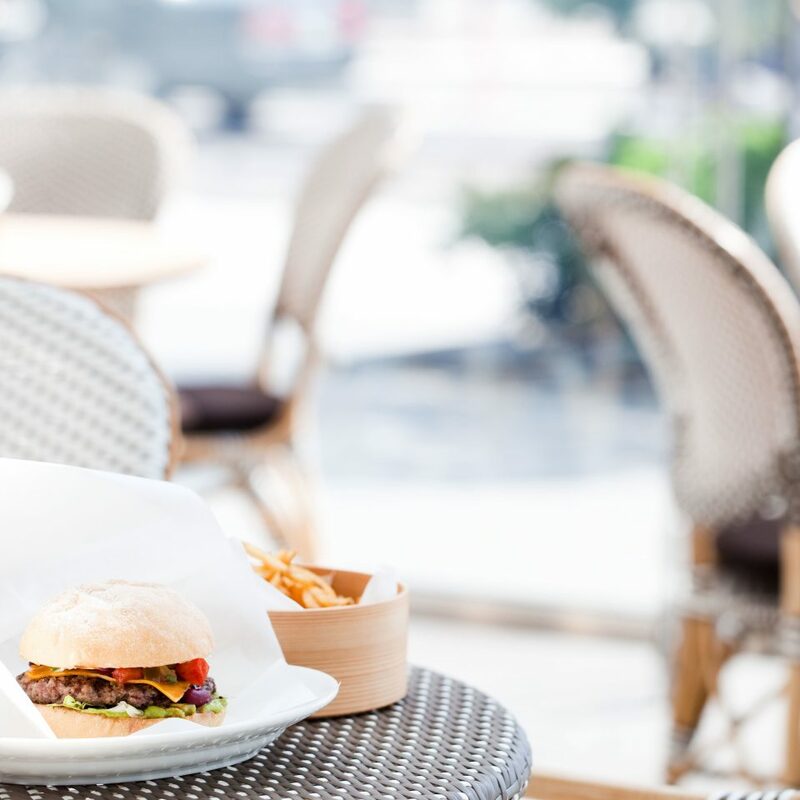 Austrian-born executive chef Gerhard Passrugger whips up sophisticated European fare using seasonal Japanese ingredients at the 51st-floor Andaz Tavern, and he also oversees the menu at the street-level burger and beer joint BeBu. 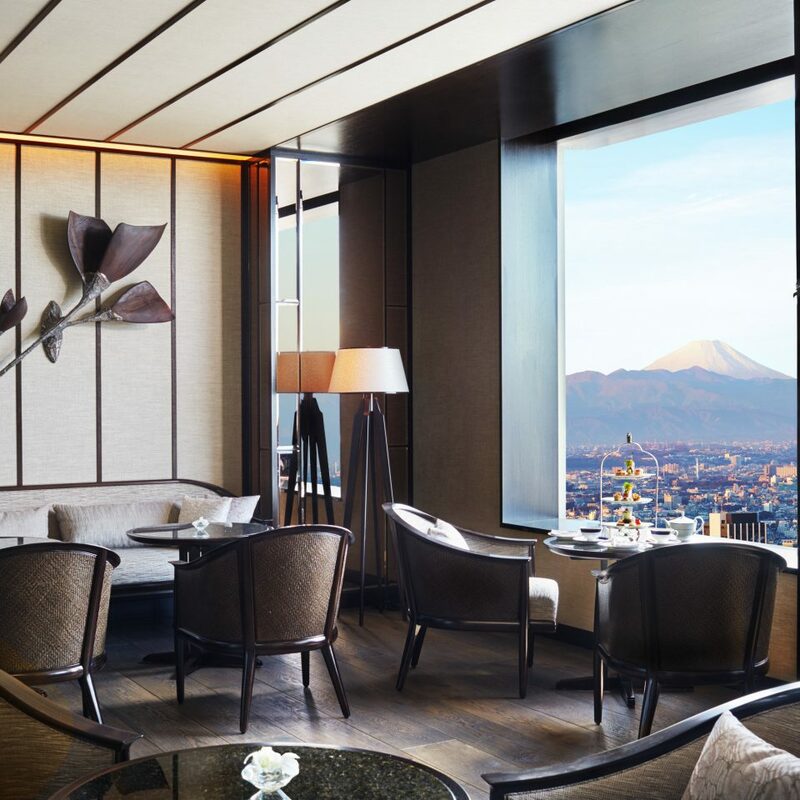 At breakfast, fresh pastries are brought up from the Andaz Tokyo Toranomon Hills Pastry Shop, on the ground level. Head to the rooftop bar for an inventive cocktail and to see the city truly sparkle from 52 floors up. 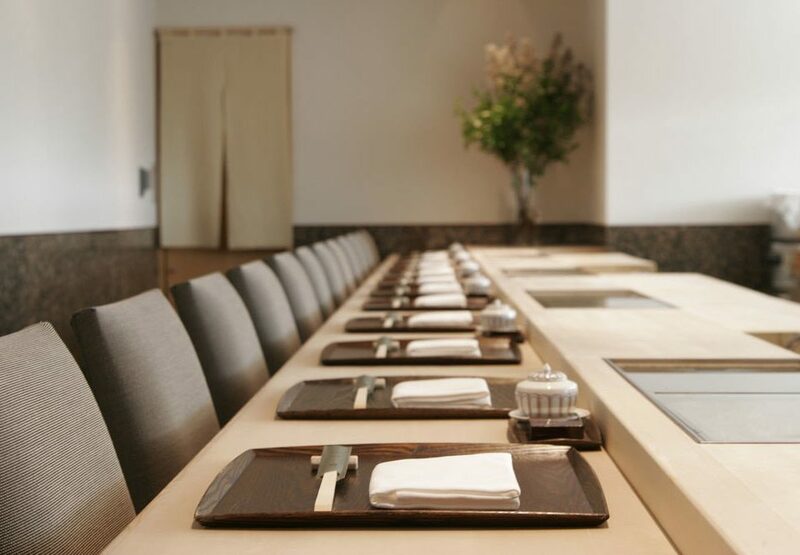 There’s also an exclusive eight seat sushi bar for an authentic Japanese experience. 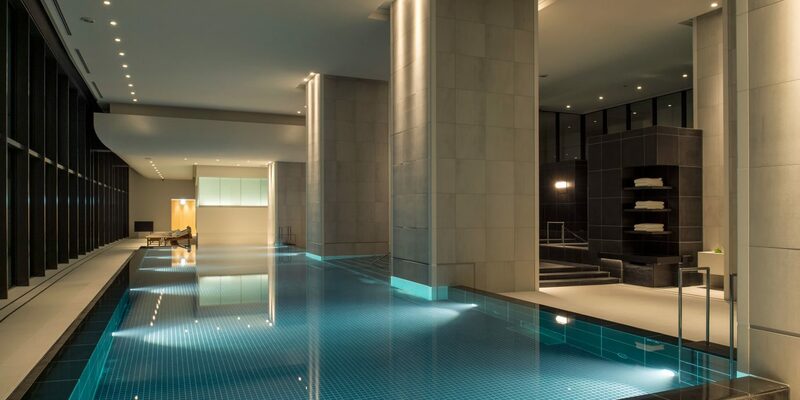 A few floors down, the AO Spa has five treatment rooms and specializes in tailor-made treatments. 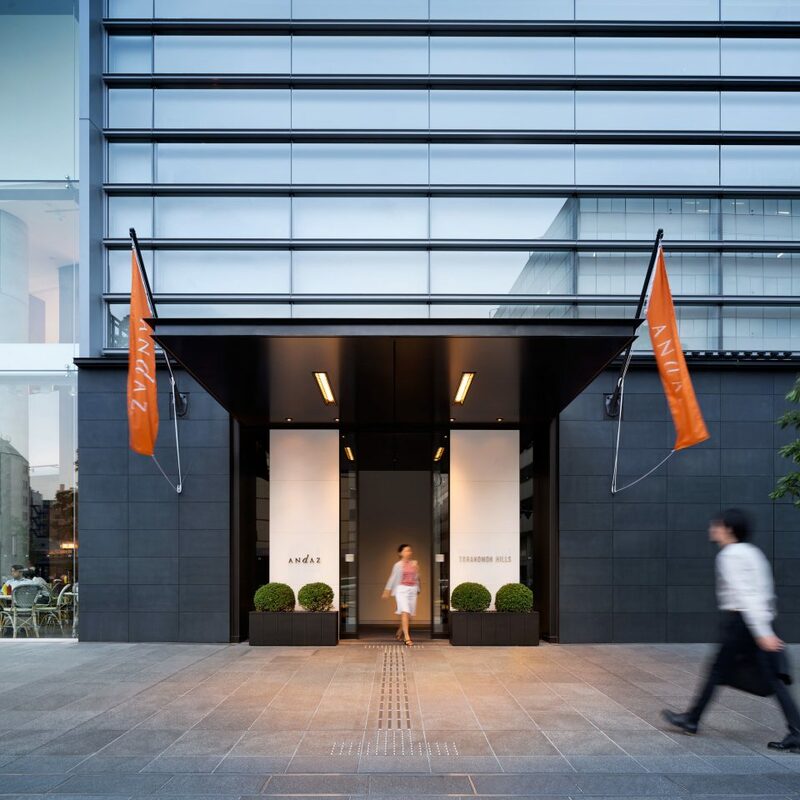 It’s an easy stroll to the swank shops of Ginza where Dior, Gucci and Chanel have all set up flagship stores, while a short train ride will take you to the heart of the Harajuku neighborhood for more experimental boutiques. For a sushi fix, wait in line at the Tsukiji Fish Market to grab a seat at one of the sushi huts for some unbelievably fresh rolls. Major department stores in Tokyo have basement food halls where you can buy everything from fresh fish to wasabi-flavored bagels. 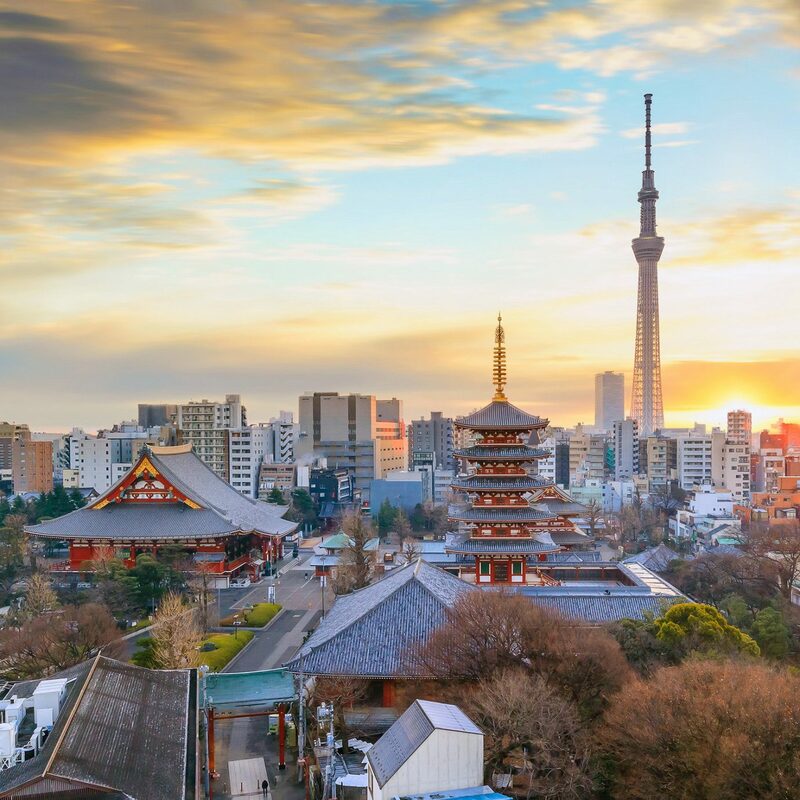 One of the biggest and most diverse is the Tokyo Food Show, in the middle of the train station in the bustling Shibuya district. We had a fantastic experience overall with Andaz, the views, the rooms, the service, food, rooftop bar etc.. Everything was amazing. It was a little away from the local metro, but taxi service was right below. 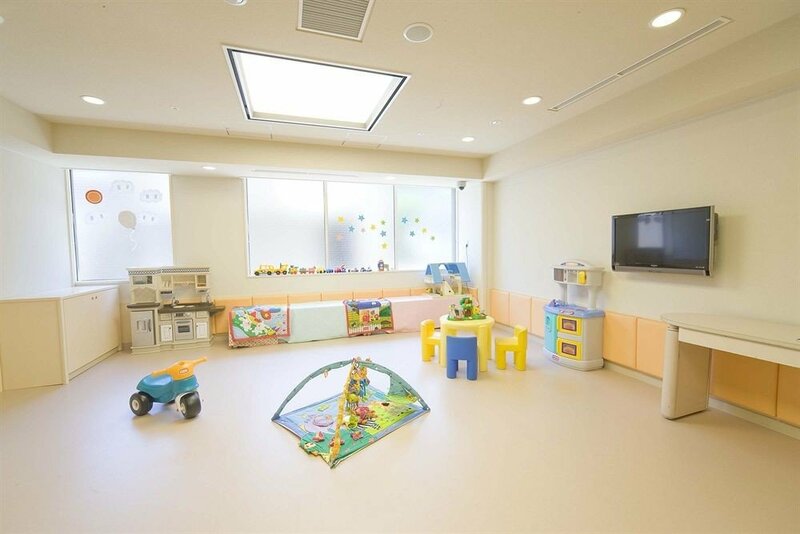 Great location, and a very clean and quite space. only downside was that the concierge was not willing to give any assistance or guidance for our trip outside of Tokyo. we were travelling to Kyoto right after, and they said that unless we were guests at the property on those dates, they are not willing to help us. This was our first stop in Japan on a 2 week tour with family to see the wonderfully Sakura blossoms. We upgraded our rooms to a corner, and I would strongly recommend anyone to do the same - the views across the city are just amazing, so much so we slept with our curtains open. The room, bathroom and storage was just like having a mini apartment in Tokyo - fantastic for 2 people. A surprising welcome was the addition of a ‘lounge’ area facility downstairs in the reception lobby where you could help yourself to hot drinks and soft drinks, along with sweeties and nibbles. A very nice and welcomed touch. Downstairs to the hotel block is a whole array of restaurants to tempt, along with shops to stock up on snacks. All in all we had a wonderful few days here and I would definitely recommend this as a fantastic place to stop with service to match. 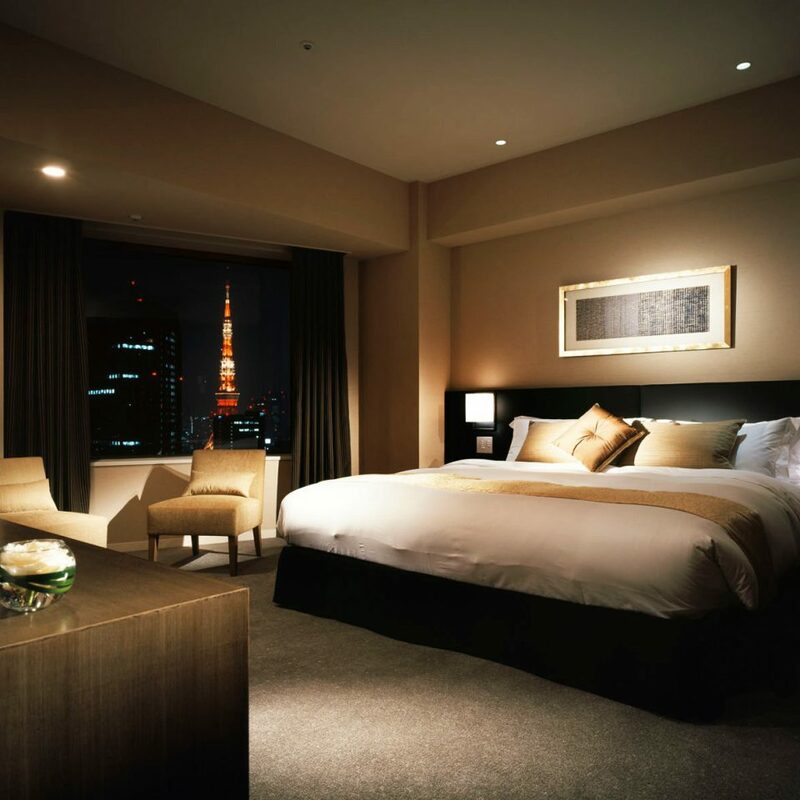 This luxurious hotel occupies the top 6 floors of the new Mori Tower at Toranomon Hills, near Shimbashi and Roppongi . 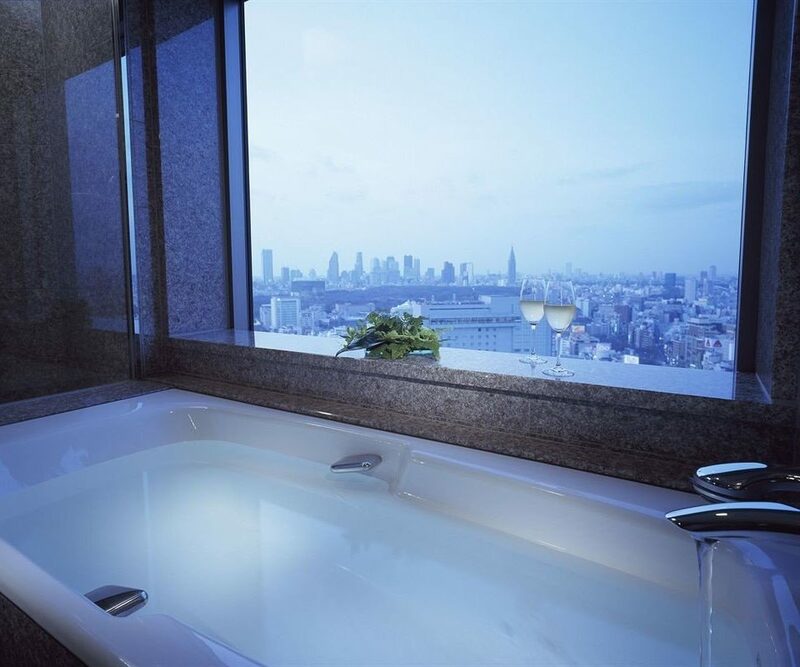 Beautiful rooms with spacious, textured-granite bathrooms and walnut paneling with spectacular views of the city . 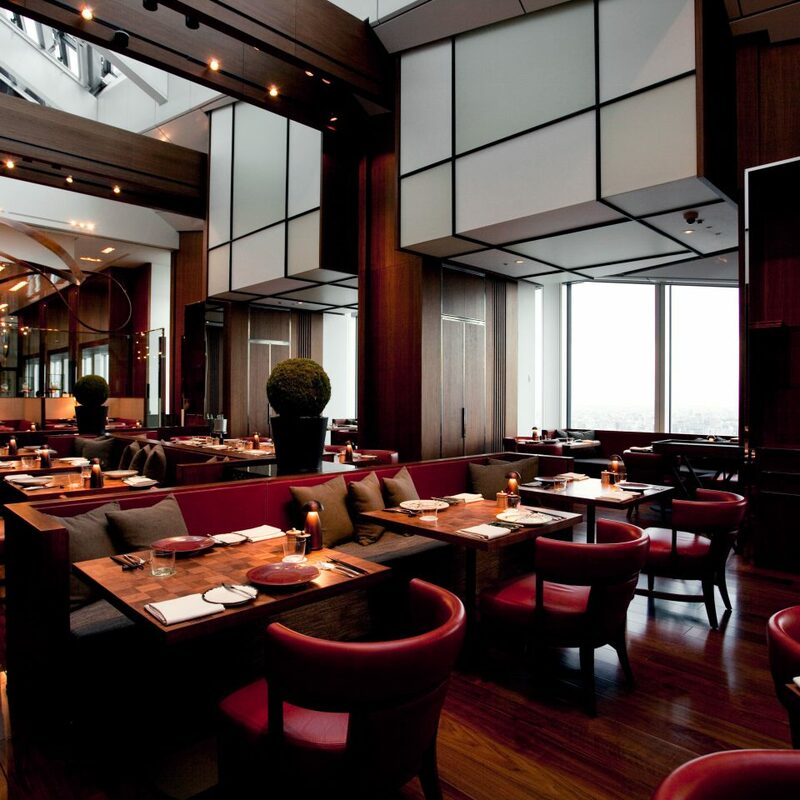 The Andaz Tavern on 51st floor is great for breakfast buffet(Japanese/Western hybrid) or meals throughout the day, and featured a live jazz ensemble . A hotel guest lounge nearby offers wines and cruditees for 'happy hour . An outstanding sushi bar on 52, affords personalized service from sushi chefs . 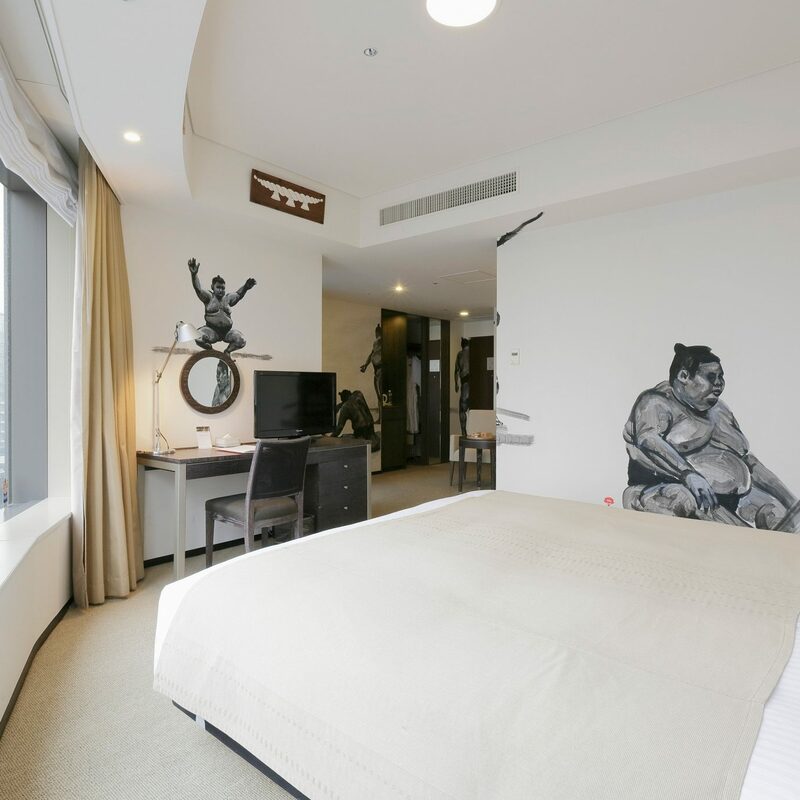 Finally, service from front desk is extremely responsive and helpful for people wanting to tour the city and experience restaurants, galleries, etc. Highly recommend ! 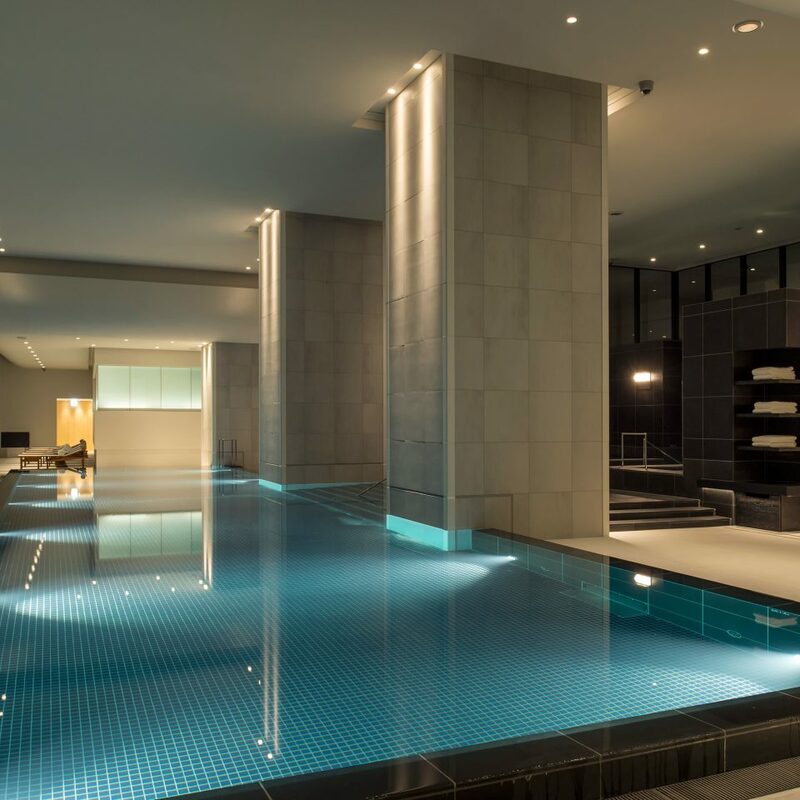 Great upscale, modern Hotel in Tokyo. Fun Hotel situated in the top 8 floors of an office building. Fabulous views, great staff, and well designed, spacious rooms. 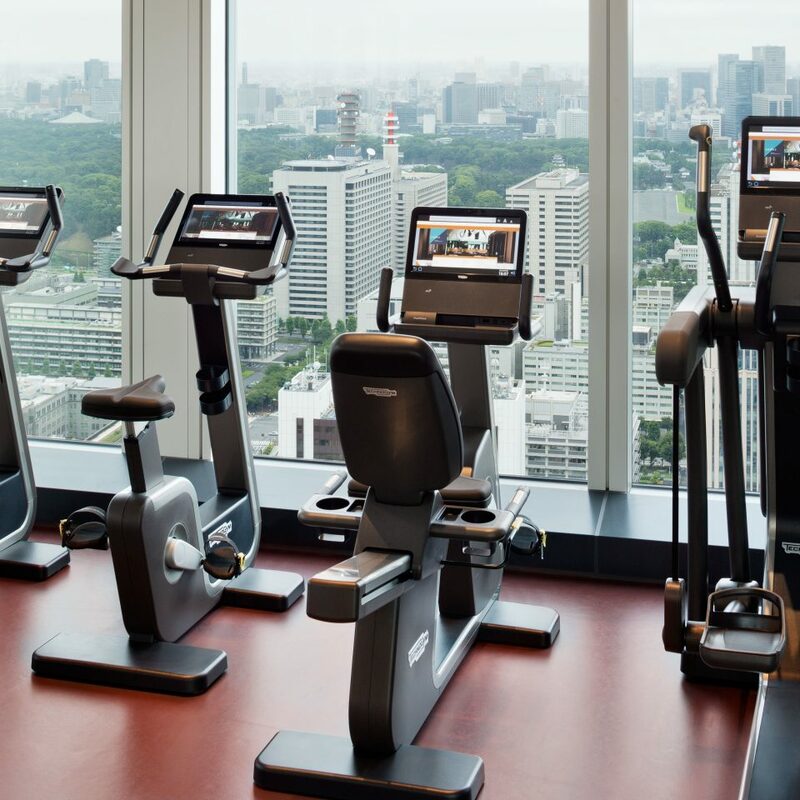 Fitness center/Spa is one of the best I have experienced in a hotel. The location is OK not great but not an issue.